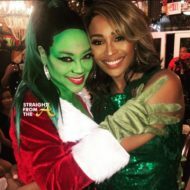 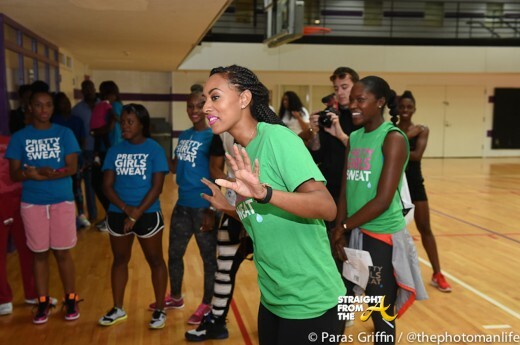 Atlanta based singer/songwriter Keri Hilson took part in a full-course fitness challenge with more than 200 teen girls last Saturday for the ‘Pretty Girls Sweat’ event (September 27, 2014). 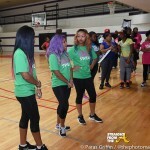 Hilson, along with special guests the OMG Girlz, promoted the importance of fitness amongst today’s teens. 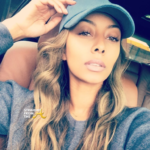 Inspired by Michelle Obama’s “Let’s Move Campaign,” Pretty Girl’s Sweat founder Aeshia DeVore Branch set goals through initiatives like these is to combat the startling obesity statistics among African American youth. 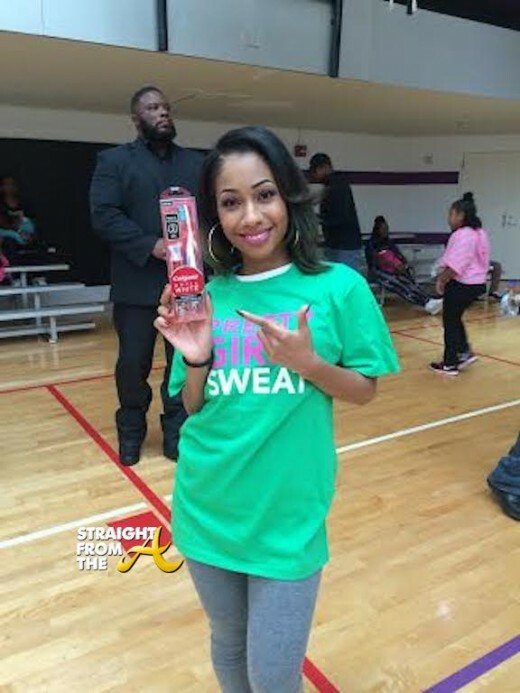 The young ladies learned importance of fitness and healthy nutrition, discovered how to dress properly for both indoor and outdoor workouts, received mentorship and were treated to a healthy lunch and several giveaways. 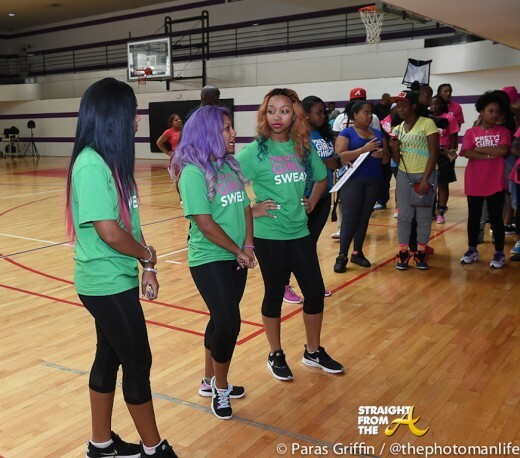 With a series of physical activities designed to encourage teenage girls to have fun with fitness, surprise guests Tiffany Evans and Bo Talley participated in the Beginners Basketball Work Out, Double Dutch Aerobics, Sweat Makes Sense Challenge and Jumping Jacks Challenge. 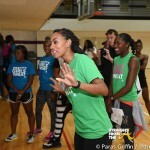 “By creating a fun atmosphere on the YMCA basketball court, Pretty Girls Sweat will make the girls less intimidated about moving their bodies,” said Aeshia DeVore Branch, Pretty Girls Sweat and Teen Diaries founder. 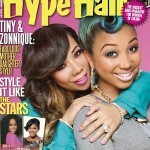 Congrats to all the ladies on participating in such a worthwhile event! 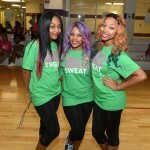 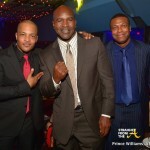 For more information visit TeenDiariesFoundation.org and PrettyGirlsSweat.com.